Thank you for your interest in Auburn Fit1. We are a Members Only Gym. If you’d like to walk through and work out with our friendly staff, the doors are open during staffed hours. When you’re ready to purchase your membership you can book an appointment online, or purchase your membership online and pick up your key the next day. During our staffed hours Fit1 employees are actively training and teaching classes. We want to best serve YOU! 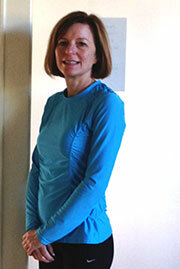 For over 20 years Susan has been a pioneer in the fitness industry with one mission in mind: To get the world fit. While making fitness affordable and accessible she has developed 5 clubs in Humboldt County called HealthSPORT and 4 Snap clubs in Southern Oregon. Fit 1 is a culmination of what she hears people MOST need to get fit and stay fit through time and that is good help, convenient access and a fun, clean place to go to get it done. 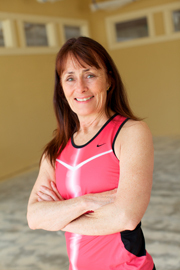 Susan also designs new programs, teaches classes and has developed a training program for personal trainers, HealthSPORT Academy. She is an ACE Certified Group Exercise leader, Personal Trainer, Lifestyle Management Specialist and Gyrotonic Foundation Certified Instructor. What inspires Jamie to train others is helping people reach results they didn’t know were possible. She works with all types of clients, but her specialty is working with seniors, those recovering from cancer and those with scoliosis. She helps such clients regain strength, motion and function following illness or surgery, plus she can help them achieve activities of daily living. Jamie believes it’s never too late to get into shape and she brings that attitude to her work at Fit1. Jamie is an ACE certified personal trainer, a PHI trained Pilates instructor, and a cancer exercise specialist trained by the Cancer Exercise Training Institute. She also trained under the Pilates Therapeutics Scoliosis Specialization Program and the TRX Group Suspension Training Course (L1). She has a bachelor’s in business from the University of Phoenix and a Fitness Specialist Certificate from American River College. She also studied nutrition and food dietetic at Cosumnes River College. Aside from working 12 years at Intel training and planning organizations, she has been a personal trainer at the Gold River Racquet Club for six years and she even coached the American Heart Association and Team in Training. Her biggest fitness challenge to date: Running her first marathon with a client who suffers from acute asthma, followed by a second marathon six weeks later!